This series asks all sorts of bloggers who their dream dinner guests are, and why. As you’ll find out there is quite an eclectic mix! This weeks dinner guest wish list is from Sarah. 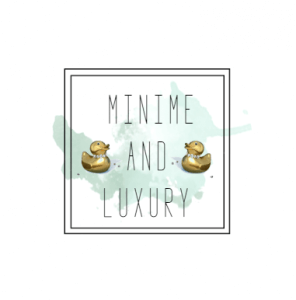 You can find Sarah’s blog over at Mini Me and Luxury. Anna Wintour: editor-in-chief of Vogue – I would love to speak to Anna about how she makes such accurate trend predictions and ask her about her favourite designers. I would also like to get an insight to the stylists she works with. Kelly Hoppen: interior designer – She has such an amazing sense of style in home decor, I would like to ask her how she makes all the homes she styles look so effortlessly chic and gain some style tips. Oprah Winfrey: talk show host, producer and philanthropist – I am in awe of how Oprah turned her life around, from a life of poverty and being molested and having a child at 14 which sadly died. I would like to ask her how she overcame all of her past and managed to flourish into one of the most successful and powerful influencers of all time. Michel Roux Jr: two-star Michelin chef – I love Masterchef the professionals and have followed Michel’s career and would love to talk to him about how to prepare the perfect dinner party and also ask him how he eats all the dishes and doesn’t put on any weight! David Beckham: Footballer and celebrity – I would love to chat to David about his early football career and how he successfully created “brand Beckham”. I am interested now he juggles a large family, business ventures and his wife’s fashion empire. Ellen DeGeneres: Comedian and producer – I find Ellen so funny and charismatic. With such an amazing career, including 30 emmys and 20 peoples choice awards- she must be doing something right! With a true admiration for her LGBT commitments and teamed with her strong ethics- she left American idol after one series as she didn’t feel it was the right fit. I would like to ask her a million questions! Don’t forget to check out Sarah on Facebook, Twitter and Instagram too!